Blackhawk plate carrier, Maxpediton monkey administration pack with my essentials, and six MP5 magazines. 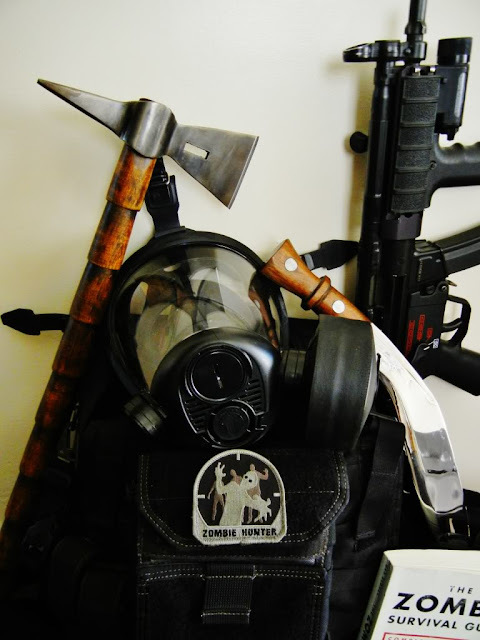 A survive air gas mask that I actually use a lot (prison riots, dynamic entry type stuff, zombie hunting, etc.). A custom made replica of the tomahawk, Magua form the Last of the Mohicans movie used. And a WWII era chopper that was handed down to me by my grand dad. 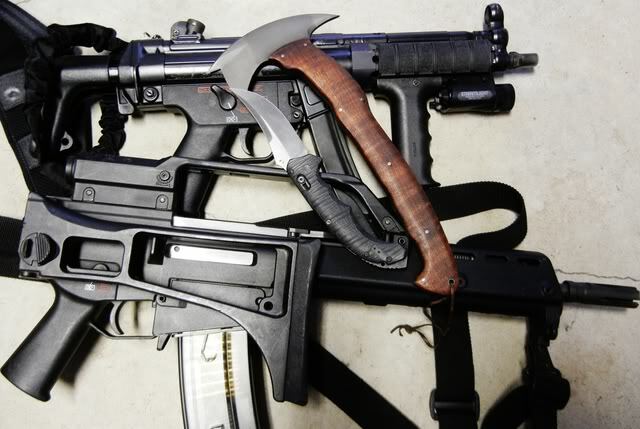 My Sayoc Winkler tomahawk and Benchmade bedlam 860 (for when I run out of bullets) and my MP5 and G36 locked and loaded. Editor's Note: Those of you who cruise BladeForums may recognize the gear of Edwood7. Ed is a prolific poster over at BladeForums, owner of many cool things and an all around good guy - thanks for the entry!